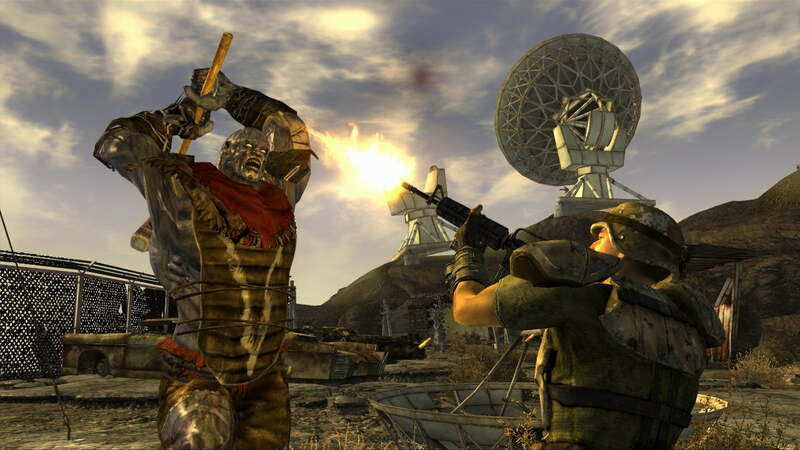 A new trademark application was submitted to the United States Patent and Trademark Office on January 8 by publisher Bethesda Softworks. It’s a simple document, only asking the USPTO to issue a mark protecting Bethesda’s right to create and profit from what it describes as “entertainment services in the nature of an on-going television program set in a post-nuclear apocalyptic world.” That “post-nuclear” descriptor is the important part here, as Fallout fans will recognize that phrase as the de facto tagline for the franchise since the first Fallout debuted in 1997. To all my #Fallout3 and #ThreeDog fans: There may be more of the Dog coming! Fingers crossed! Dellums later claimed that he was given permission (presumably from Bethesda) to write that tweet and that his attempt to tease his followers was entirely sanctioned by the company. This initially drove fans to speculate that Dellums was referring to a role in the hypothetical, yet almost certainly imminent Fallout 4, though this newly discovered trademark filing casts doubt on that theory. Given that the above-linked trademark application is the only real public evidence that this television series might exist in the future, there aren’t many clues as to what it could contain. We’d assume that the creators of the show would want to avoid being tied to any particular Fallout game, if only for the expanded creative freedom they’d be afforded by working with the Fallout concept as a whole. A show set in the ruins of Washington D.C. and linked to the mythos of Fallout 3 could be entertaining, but that concept is inherently more constrained than a series that’s free to explore any aspect of Bethesda’s dystopian future. We’ll bring you more word on where this trademark is going as soon as Bethesda offers a bit of concrete information. This could very well just be an attempt by Bethesda to protect all aspects of its Fallout intellectual property, but if the company really is serious about making a Fallout TV show, we’re anxious to see where that leads.